Please send me more information on Folly Field at, Hilton Head Island Thank you. Folly Field styles range from modest beach cottages to well-appointed Italianate mansions, low maintenance one-bedroom beach villas to three-bedroom penthouse suites. There are several moderately priced villa complexes, some gated, including Island House, Sea Cloisters and Hilton Head Resort, as well as near-ocean complexes like Fiddlers Cove and Stones Throw. Many have their own tennis courts and swimming pools. Shopping, golf, tennis, dining and various other Island activities are just a short drive away. There are also several newer, expansive oceanfront and ocean-oriented single family homes and townhomes tucked In among Hilton Head’s older, charming beach cottages. The Folly Field community is all about the beach. For the diverse mix of long-time permanent residents and visitors who return year after year, the lifestyle is relaxed and easygoing. Nearby is Folly Field Beach and the Islander's Beach Park, which allows permit parking. The Island Beach Park contains playgrounds, picnic areas, and a boardwalk to the ocean. This area is a favorite of local residents. There are also beach-oriented restaurants and bars including popular Coco’s at the Beach at the Hilton Head Resort. Folly Field’s mid-Island location makes all the area recreational activities, as well as historical points of interest, easily accessible. Coastal Discovery Museum and the historic Mitchelleville areas are good starting points. The “off plantation” mid Island area known as Folly Field is partially responsible for the explosion of Hilton Head Island as not only a vacation town, but a permanent place to live. Olin McIntosh of the Hilton Head Company built the island's first beach cottages at Folly Field beach in 1953 to generate more ferry traffic from the mainland in hopes that the South Carolina government would then build a bridge to accommodate all the new residents and visitors. When the state refused, the 1956 Hilton Head Toll Bridge Authority was organized and privately financed by businesses. The bridge worked beautifully, and tolls were removed within three years after their overwhelming success covered the HHTBA's debt. How many active real estate properties are currently listed for sale in Folly Field , Hilton Head Island? Currently there are 60 listed for sale. Are there any foreclosures currently for sale in Folly Field , Hilton Head Island? No, currently there are no active listings in Folly Field with a foreclosure status. 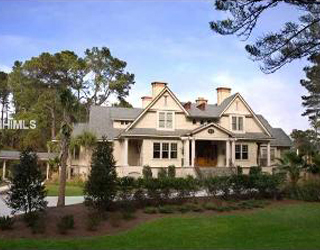 Are there any short sales currently for sale in Folly Field, Hilton Head Island? No, currently there are no active listings in Folly Field with a short sales status. What is the price range and average price for residential homes in Folly Field ? The price range of the 5 listed homes for sale in Folly Field is between 300K and 1,390K. The average price is 705K. Click here to view all residential home listings in Folly Field. 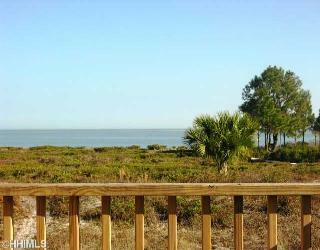 What is the price range and average price for residential condos and villas in Folly Field ? The price range of the 52 listed condos and villas for sale in Folly Field is between 20K and 949K. The average price is 250K. 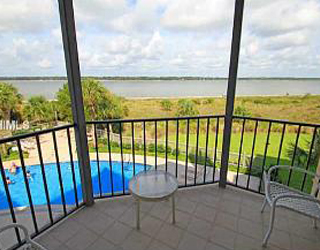 Click here to view all residential condos and villas listings in Folly Field. What is the price range and average price for residential land and lots in Folly Field ? The price range of the 3 listed land and lots for sale in Folly Field is between 145K and 175K. The average price is 158K. Click here to view all residential land and lots listings in Folly Field. What amenities a buyer should expect to find in Folly Field ? What kind of views a buyer should expect to find in Folly Field ? Founded in the early 1950’s and one Hilton Head’s original neighborhoods, Folly Field Beach is located on the north end of Hilton Head Island along the Atlantic, nestled between Port Royal Plantation and Palmetto Dunes. Oceanfront, eclectic and situated within close proximity to Hwy. 278, Folly Field is close to the commercial shopping and dining centers of Port Royal Plaza and Shelter Cove Harbour. It offers prospective owners a variety of property styles and choices. There are over 100 single-family homes located in the Folly Field area, with more underway and nearly 1,700+ villas. Folly Field is also home to two of Hilton Head’s newest public beach access parks, complete with ample parking and facilities. This is a predominantly non-gated community with a few exceptions in some villas complexes. There is an active Property Owner’s Association, which hosts periodic community gatherings, and charges an annual POA fee to owners.